Blade of Queen will undergo an update for S1-S191 to improve and provide better game experience, which starts at 06:00 Nov.15 (EST). This update lasts about 15 minutes after the in-game announcement. 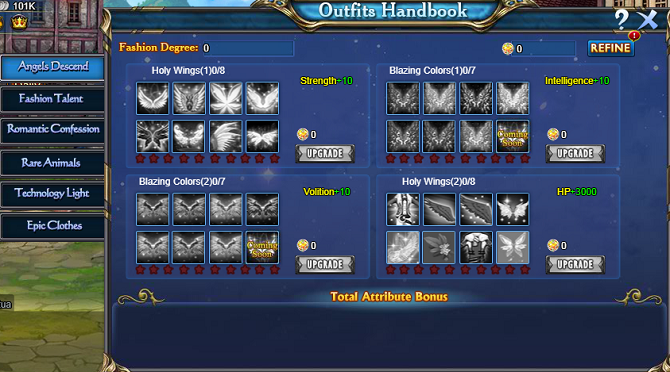 In the Outfits Handbook, the outfits which players already have will be activated directly. Collect all the costumes of a single tag to activate the stats bonus for the whole team. 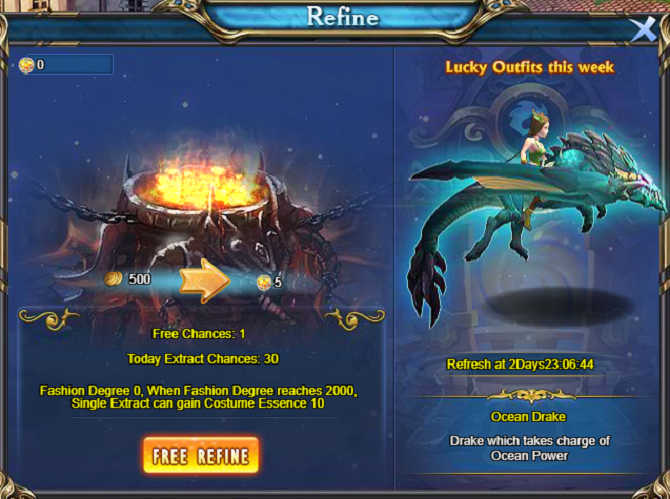 Costume Essence can be acquired from Refine, Higher Fashion Degree can grant more Costume Essence for each Refine. Costume Essence can be used to upgrade to offer more stats bonus. Each player have 1 refine chance freely daily and can use Gold to acquire extra refine chances. There is one Lucky Outfits each Monday 00: 00. Players who have it will get extra 30% Costume Essence bonus when refining. 2. 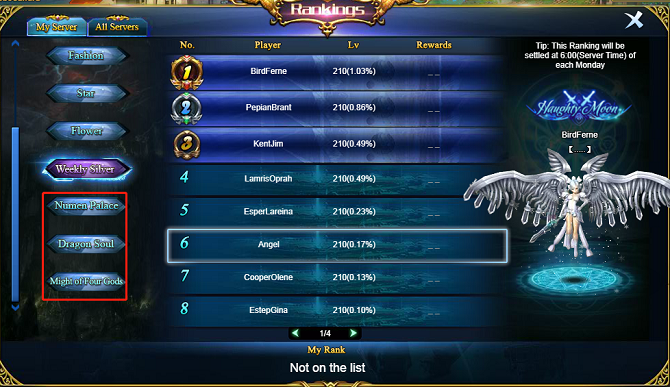 New Numen Palace Ranking, Dragon Soul Ranking and Might of Four Gods Ranking in Rank. 3. 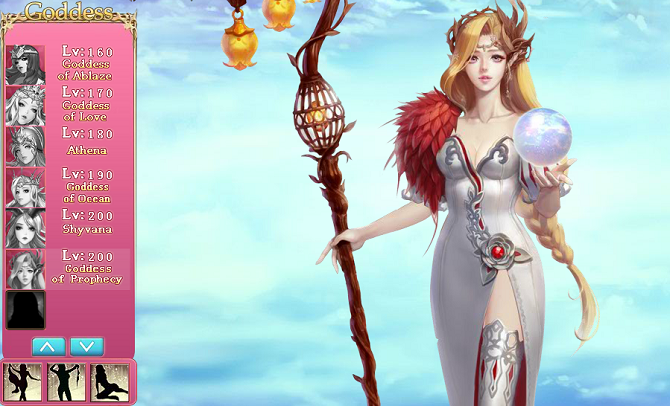 New Goddess of Prophecy and her Vow. 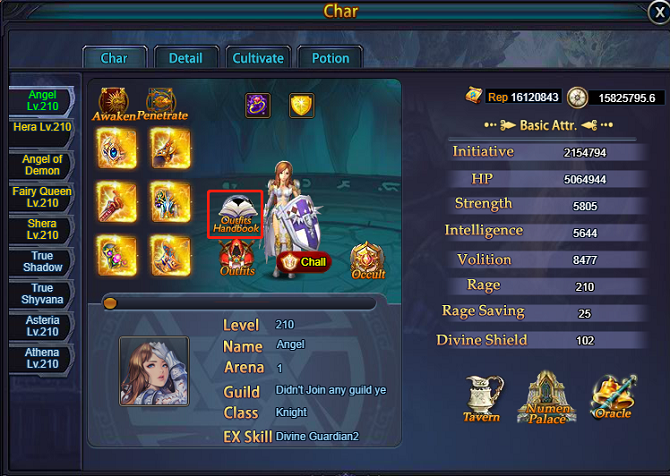 Upgrading Goddess of Prophecy Vow Level can increase the whole team Anti-Invisible and accuracy stats. It can offer 1410 Anti-Invisible and 2310 accuracy stats at the most. 1. 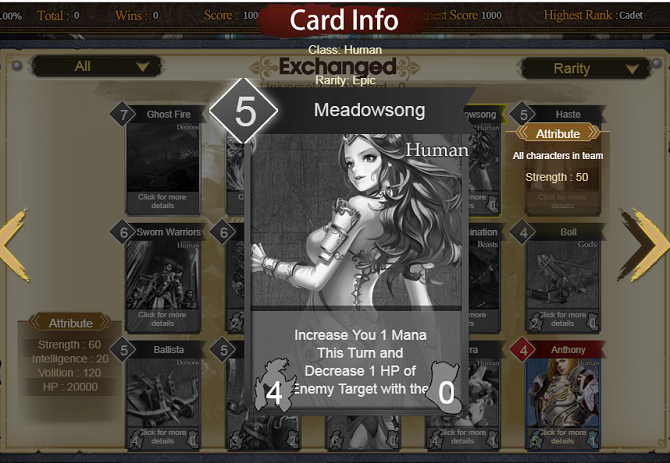 Improve the display of Cards in Hand of Gods, attributes will be displayed in each card. 2. Improve Wisp Function. 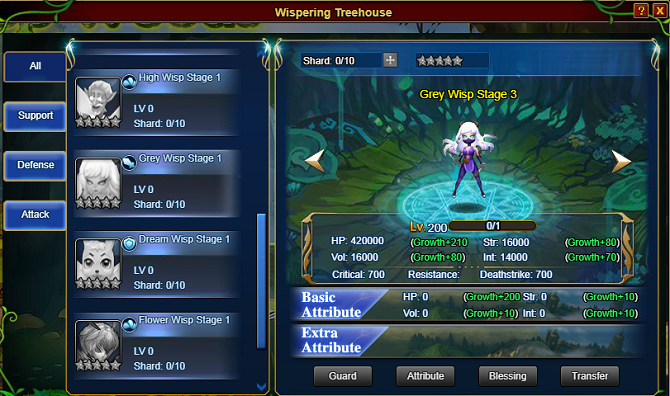 Players can preview advanced Wisp Model and Wisp Skills now. 3. Players required for the Mining Scramble now has been reduced to 10. 1. Fix the bug of Numen Arms didn't take effect in battle. 2. Fix the bug of Arena-One Key Challenge Button can't be clicked because of other players' Model.